It's October 1st! The start of halloween season! Every year I try to join in one of my favourite artist's instagram challenge, #mabsdrawlloweenclub, hosted by Mab Graves. This will be my third year so I'm really excited to meet other artists participating. Mab hosts the challenge, and each day in October you draw a spooky picture based on one of her prompts (although it can be in any medium, not just drawing!). This year I wanted to bring things back and really focus purely on drawing so I limited myself to pencil only, and wanted to try out different poses and some dark humour. 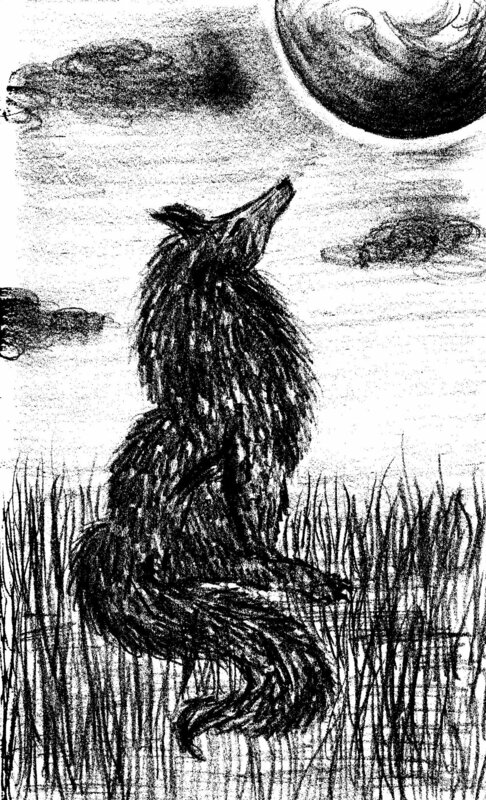 The first prompt this year is werewolf - I discovered a cool filter on my scanner and the very dark version is using that. I love how graphic it looks so I'm going to build up a funky black and white collage of all the drawings too. The coloured picture if from last year. What do I really want, what does my heart want & what do I want more of?